Luxurious one bedroom with fireplace in the heart of Aspen! Our home is located in the historic Brand Building. The Brand Building is an old Colorado sandstone fortress that is imbued with all of Aspen's history. Built in 1891 as a bank, which once stored the largest piece of silver ever mined, the building houses designer shops (Gucci and Christian Dior) on the ground floor with suites above. This historic building has been meticulously restored and featured in Architectural Digest. *******See virtual tour *******. Just 2 blocks from Gondola. Our home, the Cascade unit, named after a local silver mine, will provide discerning guests with a private retreat incorporating all of the finest amenities. It's perfect for that special intimate precious vacation. Throughout the one bedroom condominium, the vintage 19th century Scandinavian designer furniture compliments the 'French provincial atmosphere' of this living space. The living room/dining room in addition to a pull out sofa, features a gas fireplace, a large wall mounted flat screen TV, CD/DVD player and beautiful wall coverings and chintzes. The Cascade offers one master suite with a queen size bed, vintage night stands and writing desk, as well as another large wall mounted flat screen TV. The large recently remodeled bathroom includes separate sinks and a large glass enclosed shower/tub combination. To make your visit as comfortable as possible, top of the line bedding including down comforters, luxurious linens and down pillows will ensure a good nights sleep even after a hard day on the slopes or shopping. The kitchen, has built-ins and plenty of barware and cooking utensils. The is a gourmet chef's dream with subzero, wolf range, granite slab counters and all the utensils you will need to create that special meal. Summers are equally as enjoyable and beautiful when the activities include fly fishing, river rafting, parasailing, hiking, mountain biking, canoeing, kayaking, many special festivals and more. Plan to come for the Aspen Food and Wine Festival, Aspen Music Festival, Comedy Festival or other cultural events. If you come to ski we are just 2 blocks from the Silver Queen gondola which serves Aspen mountain. We are a block away from the free shuttle that takes you to Snowmass, Aspen Highlands or Buttermilk ski area. Down the stairs and out the front door you are surrounded by the finest restaurants, art galleries, coffee bars, bakeries, designer clothiers, the famous Caribou Club, movie theaters and the most wondrous little shops filled with serendipity. Previous guests have included world and financial leaders and celebrities from TV, film and sports. This is the ideal place to stay if you want a private restful luxurious vacation yet still in the hub of things. Amenities: Wifi, top of the line stainless appliances in kitchen, washer/dryer, two phone lines, cable TV, I-pod docking at stereo and a secure building. Top of the line bedding. All top of the line stainless appliances. Beautiful apartment, perfect view of Aspen mountain, great location right in town. Also want to mention the beds were incredibly comfortable! Carol was wonderful to deal with, answered all questions quickly (which is so appreciated). It was easy and perfect for our long weekend! 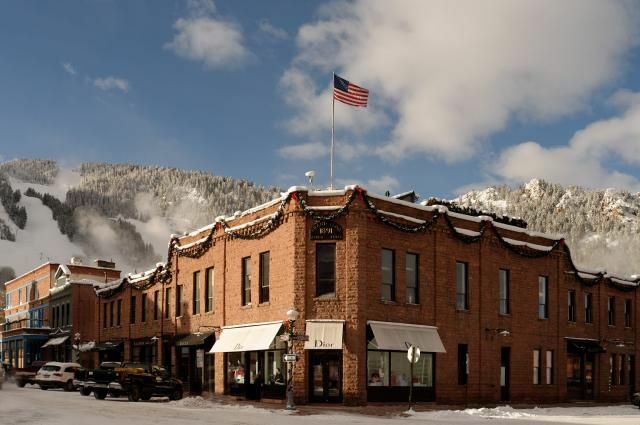 Great location to enjoy all of what Aspen has to offer. The apartment is footsteps to EVERYTHING! Clean and comfortable apartment with all the necessary amenities. I would stay again in a heartbeat! Thank you, Carol! Beautiful place , decorated with a warm Victorian vibe. Well appointed kitchen for cooking and a fireplace! Can't beat the location - just a few blocks from transit center, gondola , resteraunts and shopping. Owner is totally responsive and accommodating. A real Aspen gem. We’re happy we could accommodate you at the last minute! Glad you had a wonderful stay. Very convenient location in the heart of Aspen. Apartment is well-kept and well decorated. We had a lovely stay. Carol was very responsive. Happy to have you as our guest and wonderful that you enjoyed your stay! We had a great stay. Carol was very responsive in answering all our questions and the location couldn't be better! We’re happy you enjoyed your stay in Aspen! Yes, the location is right in the center of town so it’s super convenient! This cute little apartment could not have been in a better location in Aspen. It is truly right in the middle of everything. The owner was very attentive to some issues we had with the temperature control. It's a charming apartment, though the plumbing and heating were a bit quirky. This was to be expected from an old, historic building. The kitchen was terrific, the bedding really nice, and the owners great to work with. We really enjoyed our stay. So glad your family of four enjoyed our one bedroom apartment! We were pleased we we were able to install a new thermostat within 24 hours of you mentioning your concern. As an owner of multiple vacation rental properties we always ask our guests to be kind to our plumbing and only put toilet tissue down the pipes. The plumbing isn't quirky but we advise all our guests to be aware of what they dispose of. Happy you enjoyed the terrific kitchen, the bedding, and the wonderful location in the heart of Aspen. Thank you for your kind remarks, hope to see you soon! Right in the center of Aspen and no need for a car! Ski in the winter and hike the surrounding area in the spring/summer/fall. Departure cleaning required in excess of standard departure clean runs $40 per hour. Additional charge of $25 per person per night for 3rd through 4th adult in unit. Early check in and late check out may be available for a fee. Damage deposit/security deposit $500. US credit cards accepted. International credit cards will incur a 2% fee.